Have you been waiting to get started in investing because you think it’s confusing? Do you think that too much money is required to start, or financial advisors are too expensive? It doesn’t have to be that way. A new investment method called robo advisors has been changing the financial landscape recently. And, it’s something that you may want to consider. A robo advisor is an online wealth management service that provides automated, algorithm-based investment portfolio management advice without the use of human financial planners. Robo advisors use the same software as traditional advisors, but they usually only offer investment portfolio management. They do not get involved in more personal aspects of financial planning, such as taxes, retirement, or estate planning. Now, you can get started with a robo advisor with as little as $1 in some cases. The fees are reasonable, and the robo advisor does the investment allocation for you. So, you do not have to read a library full of investment how-to books before diving into the game. There are many robo advisors on the internet, and more are popping up every day or so it seems. Here are some of the best and most popular robo advisors. Betterment, Wealthfront, Charles Schwab Intelligent Portfolios, and Future Advisor are some of the most popular robo advisors nowadays. They provide a wealth of information to their investors to help them every step of the way. I personally have been using Betterment for a couple of years now. I love the ETFs that they offer their investors. It’s a simple way to “set it and forget it” with your investments. The robo advisor does all the work for you. Open a Betterment account now! Of course, robo advisors aren’t perfect. So, if this way of investing is something you’ve been considering, then check out the pros and cons of robo advisors. If you don’t know much about investing and do not have the time, interest, or energy to be constantly reading the stock market news, then letting a robo advisor do all the work for you could be an excellent compromise. Robo advisors operate with computer algorithms such as the Noble Prize-winning investment option from Betterment. These algorithms are designed to maximize the potential of your portfolio through blending different stock, bond, and mutual fund options based on your expressed needs while minimizing losses during bear market times. Another benefit for beginning investors is that robo advisors require little to no upfront investment. Whereas a traditional financial advisor may require several thousand dollars before taking you on as a client, robo advisors such as Betterment and Wealthfront require between $0-500 to get started with either a lifestyle investment account or an IRA. Betterment does not have a minimum required for an initial deposit. Wealthfront requires investors to deposit $500 initially to open an account. If you prefer face-to-face interactions with people and want to rely on a trusted individual to manage your money, then online robo advisors may not suit your interpersonal needs. After all, there are numerous benefits to using a human advisor, such as receiving personalized guidance during turbulent market times. With a human advisor, there’s also the benefit of being able to fully customize your portfolio rather than letting an electronic advisor pick. You can choose investments that seem suitable for your lifestyle based on a short questionnaire you take when you’re first starting out with a robo-advising company. However, if personalization matters less than monetary results, then starting off with a robo advisor could be a reasonable choice, especially with the lower fee structure. InvestorJunkie’s comparison of robo advisors’ fee schedules can show you just how much you’ll be paying in fees for your investments with a non-human advisor. Management fees start as low as a flat rate of $10 per month or 0.15%-0.35% on the invested balance (the higher your balance, the lower percentage your fee will be). For example, Wealthfront averages a 0.25% fee for its investors. Compare this to the average fees charged by human advisors, which Advisory HQ reports to be between 0.25% (for multi-million dollar investments) and 1.45% (for investments around the $50,000 mark). If you’re a small-time investor concentrating on building your wealth, then the fee scales really make a difference in your financial situation. This is true for both human advisors and robo advisors, but some people mistakenly believe that letting a strategic algorithm decide their investments is always superior to human advisors. The market will inevitably fluctuate, however. Robo advisors are generally able to ride out these waves through adjustments to the algorithm, but the fact of the matter is you are never guaranteed profits regardless of who or what you invest with. According to Investopedia, tax-loss harvesting is “selling securities at a loss to offset a capital gains tax liability.” Many robo advisors incorporate this practice automatically for their investors, and Betterment says you can offset your tax burden by as much as $3,000 per year. You can choose whether or not to engage in tax-loss harvesting through a robo advisor account and even if you choose to forgo this benefit, it’s still available in the future if you want to reduce your taxes one year. Another option for investors is Motif Investing. Motif provides advisors and self-directed retail investors with simple, commission-free allocation models and rebalancing. There is also no added management fees, which runs counter to “robo advisors”, which can be accompanied by management fees ranging from 0.15%-0.35% of total assets per year. Motif can be a great alternative for DIY investors that want to wrap an advisory fee around a free product. As you can see, there are plenty of reasons why you might want to try using a robo advisor before upgrading to a traditional financial advisor. If you need more personalized options for your investments then robo advisors may not work for you. But, with so little money required up front, it could be worth a shot. The rise of robo advisors in recent years has been tremendously beneficial for novice and experienced investors alike. Robo advisors manage investment portfolios with the help of advanced algorithms. These algorithms were developed by financial experts and specifically designed to maximize returns while charging substantially lower fees than traditional advisors. Approximately 6.6 million investors currently use robo advisors, and that number is expected to grow to over 12.6 million investors by the year 2022. Total assets managed by robo advisors surpassed $222 million in 2017, and that number is expected to double or even triple within the next couple years. So why do people love investing with robo advisors? There are many advantages to letting a computer algorithm determine the best allocation of your assets instead of a human advisor. Robo advisors offer lower fees, better portfolio performance, lower account minimums for investors just starting out, more account features, and more. If you’ve considered switching to a robo advisor or perhaps adding a robo advised portfolio to improve your retirement savings strategy, here are some of the many ways robo advisors are currently beating traditional advisors. Because each individual portfolio differs based on the investor’s unique tolerance for risk, gauging the performance of robo advised portfolios can be difficult. However, it’s been reported that between the start of 2016 and the end of 2017, the top seven robo advisors raked in significant returns averaging 21-27% for investors with taxable portfolios. Additionally, robo advisors typically charge much lower fees than traditional human advisors, who charge 1-2% fees on investable assets each year. Robo advisors are able to outperform their human counterparts thanks to their advanced algorithms, which are designed to monitor a vast multitude of factors. Best of all, most robo advisors offer highly secure smartphone apps, through which you can monitor your portfolio whenever you’d like at the press of a button. You don’t have to get updates on your investments if you’d prefer a “set it and forget it” style of passive portfolio management. But, it’s a nifty feature for any investor who wants greater transparency and quick access to their portfolios on-the-go. There are countless robo advisors out there today, but don’t let too many investment options overwhelm you. There is a clear winner when you take management fees, average returns, account features, and customer service into account. With these factors in mind, one of the best robo advisors available to investors today is arguably Betterment. It has over $14 billion assets under management (AUM) and charges investors just 0.25% in annual fees on its accounts for Betterment Digital. Betterment Premium includes in-depth investment advice and unlimited access to CFP professionals for investors who have a minimum balance of $100,000 in their accounts, and there’s a 0.40% fee. Betterment Digital is advantageous for new investors who want a better alternative to traditional human advisors for several key reasons. $0 minimum balance to open an account. 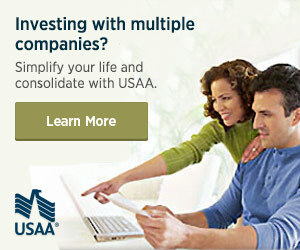 Personalized financial advice and portfolio management based on your age and investment goals. Automated portfolio rebalancing, tax loss harvesting, and asset location. Easy access to knowledgeable customer service representatives and licensed financial experts to assist you with any questions you may have. With low fees, hundreds of thousands of clients, and billions of dollars in assets under management, Betterment is one of the best options for anyone who wants great returns on their investments, minimal fees, and hands free management of their portfolio. Betterment - Make Investing Automatic Betterment helps make the most of your money. Start by telling the site a bit about yourself and get a recommended investing plan and personalized portfolio. Robo advisors have transformed the financial industry for the better. Not only do they offer investors better rates when it comes to portfolio management, but many robo advisors have demonstrated a solid history of consistent and excellent returns on the investments they manage. Even if you have only a little money to begin investing, robo advisors can be great options for small-time and wealthy investors alike, thanks to low account minimums and a plethora of additional services for those who want a top-tier portfolio management experience. If you currently rely solely on a self-managed investment account or a pricey investment broker to manage your money, there are several advantages to trying out a robo-advising investment platform that you might not have considered. Companies like Betterment and Wealthfront are increasingly popular for small and big-time investors alike looking for robo advisors. Their algorithms are designed for optimal portfolio growth in a variety of market conditions and their fees are typically lower than what you might pay through a professional investment advisor. Although robo advisors have become significantly more popular over the past few years, a lot of current and would-be investors are still wary of the idea of letting a robot or computer algorithm decide their investment allocations for them. Are these four myths about robo advisors hindering your investment strategy and return on investment? Starting and managing your own investment accounts online might sound like a risky venture, but in reality, the major robo-advising companies are SEC-registered and regulated like other investment firms. Furthermore, if you invest with Betterment Securities, your assets up to $500,000 per account are protected through the Securities Investors Protection Corporation (SIPC) to ensure against any potential Betterment’s financial insolvency and/or missing funds from your accounts. Data from online-based robo advisors are also protected in secure facilities, and there are multiple security features in place to protect your personal information and your funds through your online account. Did you know that robo-advising platforms oftentimes perform better over time than human advisor-managed portfolios? At the very least, existing research suggests that there is little to no correlation between professional advisors and better investment portfolio performances. Since nobody (or nothing) can truly predict the market’s ups and downs with consistent accuracy, there is no clear winner when it comes to optimizing clients’ investment portfolios. However, as the Wall Street Journal points out, human advisors can be more prone to errors and require a financial incentive to work for their clients’ benefits, which is not an issue for an algorithm that has no cognitive biases or motivational needs. Rather than charging high or hidden fees like some other investing platforms might, robo advisors often charge reasonable annual fees of 0.25% or even 0%, in the case of Wealthfront accounts with a balance between $500-$9,999. Betterment charges 0.25% on all deposits up to $2,000,000, which is quite low compared to a human advisor’s average 1-2% annual fee. Robo advisors are able to charge less because their overhead costs of doing business are lower than brick-and-mortar firms that hire human advisors, so don’t assume that lower fees equate to a lower quality of service when it comes to investment advising. While it may be true that younger generations like Millennials and Gen Z’ers are generally more tech-savvy than their Gen X and Baby Boomer peers, they don’t seem to be as adventurous when it comes to investing. As a recent survey found, just one-third of Millennials have money in the stock market, and Betterment reported that the average age of their customers is 35 (right in between Millennials and Gen X’ers). No matter what your technical skill level may be, it likely won’t take more than 30-60 minutes to set up an account with a robo advisor online because the process is designed to make it easier for you to invest! There are hundreds of thousands of people using robo advisors nowadays, so don’t let investing intimidate you just because the platform is unlike other investment avenues you’ve pursued in the past. There are pros and cons to both human and robo advisors, but given the newness of robo-advising platforms, the myths and misgivings continue to persist and turn people away before they really understand what robo-advising is. Rather than shrugging off potential investment opportunities, research your options to decide which route might work best for you and your investment goals, and you might find that this relatively newer method of managing a portfolio is more flexible and lucrative than you previously thought. Rather than shrugging off potential investment opportunities, research your options to decide which route might work best for you and your investment goals, and you might find that this relatively newer method of managing a portfolio is more flexible and lucrative than you previously thought. Have you tried using a robo advisor? Which one? I’d love to hear about your experiences.